Prime Commercial Mixed Use Land. Corner lot. 4 parcels. Total 9.18 acre. NW corner Civic Drive and Seneca road. Utilities stubbed to property (buyer to verify). Zoned Civic Mixed permits mixed-use projects that incorporate commercial, office and housing uses in a single cohesive development. Great location. Great traffic count. Signalized intersection. 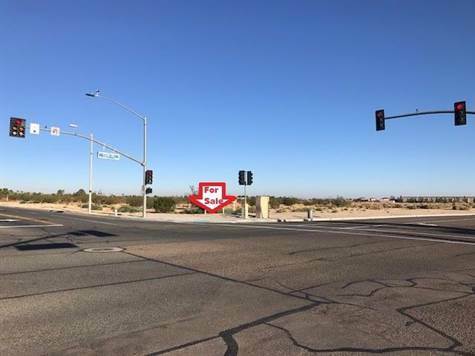 Close to Home Depot, Winco, In-N-Out, Panda Express, Krsipy Kreme Doughnuts, Starbucks, Auto Dealerships, Court House, City Hall and Professional Offices. Close to Freeway 15. APN #3106-261-15, 16, 17 & 18.